It’s the task most of us dread—cleaning out the closets. But it doesn’t have to overtake you. The key is to approach it with an organized plan. We’re sharing some great tips to help you conquer the clutter and regain a peaceful closet! This is the first order of action to getting your closet under control. 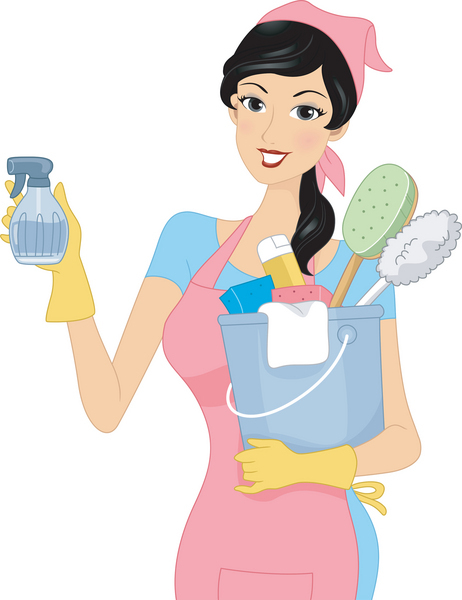 Here are some tips from your house cleaning pros at Grove City House Cleaning to help you get started…. Toss what you don’t need. Start laying out all your clothes on your bed and begin looking for what you have not used in at least a year. Most of us wear 20% of our clothes 80% of the time, so keep this in mind as you complete this task. Make another stack for the items you haven’t worn and are willing to part with. Begin making stacks for donations, items to sell and items to keep. Be hard on yourself and get rid of things that are damaged. If they need to be repaired, then make a commitment to get it done soon. Remember, donating good clothes to charities not only pays it forward to needy people, but will also make you feel good inside. Always donate clothing that is clean! The rule of thumb is not to give clothes away that you wouldn’t find attractive yourself. Find a specific charity you believe in. This might be something like a charity that helps women in need get ready for a return to the workplace, or one that provides formalwear to girls going to prom, etc. These organizations are a great way to make a difference AND get a tax write-off! Organize and put away. Once you know what you will return to your closet, consider organizing your clothes in a way that is most useful to you, such as the type of clothing, or the color of the clothing. This helps you make an outfit at a glance and saves you time getting dressed in the mornings. Remember that sweaters should not be hung up. Sweaters need to be folded to preserve their shape and prevent stretching. Don’t make the stacks too high and consider stacking by sleeve length or color. Shoes….Oh the joy of our shoes! We women love our shoes and so we need to take care to organize them properly. Storing them can take up a lot of room, so you might have to get creative. Shoe organizers that hang on a door are a great way to save space. These are good for storing other accessories as well. Consider using all that vertical space on the closet shelves by stacking shoe boxes with pictures attached of the shoes inside. You can place lesser used shoes on top. You can also do this with clear plastic shoe containers. Having an organized closet doesn’t need to overwhelm you; just attack the project in manageable chunks and know that you will enjoy your closet so much more when it’s organized. Cleaning out the closet is something that relieves stress and will cut down on anxiety that comes from having too much clutter. Choosing your clothes each day should be something you enjoy doing and a wonderfully organized closet will make this task a pleasure. Consider painting your closet walls in your favorite color and add hooks and other items to help you hang scarves, purses and jewelry. Clear out your Grove City Garage! 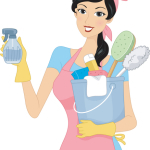 Copyright 2015 House Cleaning Grove City Ohio | All Rights Reserved.